Note: This and the following section mixes material from the series canon as well as from personal canon, and also contains spoilers for Code Lyoko. Once upon a time, Aelita was just a normal kid with two loving parents. Then for some reason that she never found out, her mother was kidnapped by a group of “Men in Black”. She and her father then moved to a home in the woods in Paris, where her last name was changed from Schaeffer to Hopper, and she was home schooled while her father taught at the local private school, Kadic Academy. A couple of years passed, and when she was twelve, once again the “Men in Black” appeared, and her father led her to an abandoned factory in the city that housed a super computer containing a virtual world called Lyoko, a “world without danger” as her father, Franz put it before sending both her and him to it. Unfortunately, there was danger within this new world. An entity named X.A.N.A, which was programmed by Franz, went rouge and attacked them. Franz was forced to shut the computer down with them inside it, telling Aelita to never forget him and that she held the “Keys to Lyoko” before the computer was shut down. Twelve years later, a young boy named Jeremie Belpois reactivated the super computer and befriended Aelita, who had lost all of her memory of being human, thinking that she was an A.I. She also hadn't aged since she had gone to Lyoko. The fact that she was stuck on Lyoko seemed to make that seem like the truth. However, reactivating the super computer had also reactivated XANA, who instantly begun attacking Earth. She, Jeremie, and three other children from Jeremie’s school banded together to fight against XANA while Jeremie attempted to find a way to materialize Aelita on Earth. Eventually, Jeremie succeeded, but when the group went to deactivate the super computer to stop XANA, Aelita fainted and her heart stopped beating until Jeremie reactivated it. It turned out that just before Jeremie had materialized Aelita, he had seemingly implanted a virus within her that would link their existence together. Even though the virus still linked her to XANA, Aelita ended up enrolling at Kadic Academy. Jeremie spent a long time working on the anti-virus, and during that time Aelita and her friends found out about how Franz had created Lyoko to counter some sort of government project. During this time, XANA created a giant jellyfish-like monster called the Scyphozoa in order to steal Aelita’s memories. Eventually they learned that Aelita was once human, XANA was trying to steal the “Keys to Lyoko” from her, and that XANA had stolen her memories to keep her linked to the super computer and that there was no virus after all. Almost immediately after that, Aelita went to deactivate the super computer to kill XANA with her, but Jeremie stopped her in time and convinced her to live. The group then went on a mission to Lyoko to find and locate Aelita’s missing memories. This resulted in XANA being able to steal the “Keys of Lyoko” and escaping from the super computer. If it wasn’t for her father, Franz Hopper, Aelita would’ve died then and there. Instead, he restored the memories that were stolen the first time, and twelve years after first entering Lyoko, Aelita truly had some semblance of who she was. Unfortunately, XANA would still prove to be a problem, this time around attempting to destroy Lyoko itself, this time using Aelita as his weapon by using the Scyphozoa to take control of her. Eventually, it got so bad that the group added another Kadic student to their team, a boy named William Dunbar. XANA used the Scyphozoa to take control of him and destroy Lyoko. 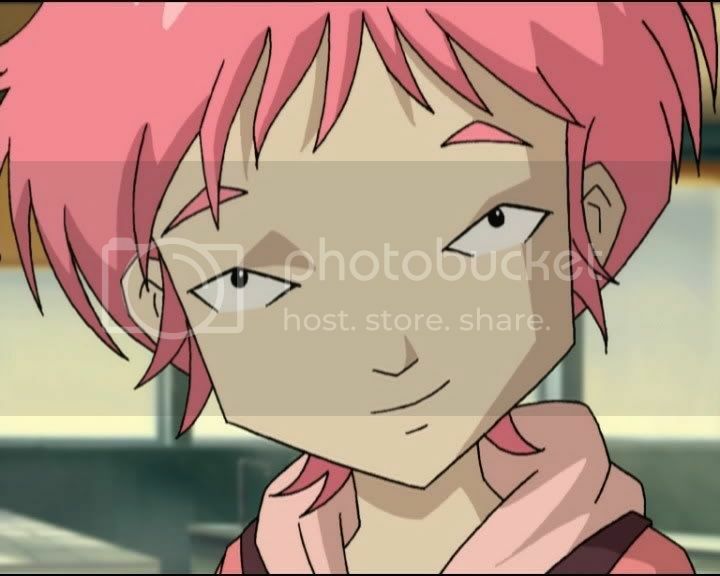 Jeremie and Aelita were able to reprogram Lyoko, and William showed up again on Earth with no knowledge of his possession, only for it to turn out that he was still under XANA’s control. William kidnapped Aelita and brought her to Lyoko, where he tried to permanently virtualize her by throwing her into the digital sea around Lyoko. She managed to escape, and now William was definitely the group’s enemy. During this time period, the group learned that XANA had created copies of the super computer on the internet and set out to destroy them while Jeremie tried to find a way to free William from XANA’s control. They got four of them before they realized that XANA had a billion of them and before they managed to free William. Jeremie, with Franz Hopper’s help, managed to create a program to destroy XANA, but needed a higher source of energy to be run. During XANA’s final attack, Franz Hopper sacrificed himself to provide the energy needed to kill XANA. As Aelita and her friends deactivated the Super Computer, Aelita began to grieve for her father. A week after the destruction of XANA, Aelita found herself in the Digital World and met her partner Labramon. She quickly figured out the D-Comm’s functions, and ended up being contacted by Toph Bei Fong, Koushiro Izumi, and Takato Matsuda, learning that she was going to be forced into saving the world yet again. She was not amused. Takato invited her to join Team Gogglehead/Goggleface, which she was perfectly fine with. However, they were busy at the time looking for Ruki Makino and Jenrya Lee. After learning that another of the tamers that Takato was searching for, Shuichon Lee, was in the Dokako Jungle, Aelita decided to meet up with her to make it easier for Team Gogglehead/Goggleface to find them.